Welcome to the fourth instalment of my email analysis series! For this weeks review, I’ve picked out an email which landed in my inbox from UK retailer Truprint. My first impressions of this email was that it was crazy! It breaks a lot of design “norms”, such as the stereotypical email layout, but still looks great. The design is progressive and fits perfectly with the product they’re selling. It’s image-heavy but manages to keep the key wording in text. It also adapts well for smaller screen devices. Now lets break the email down section by section. The hero section is where things start to get interesting. I absolutely love this section. 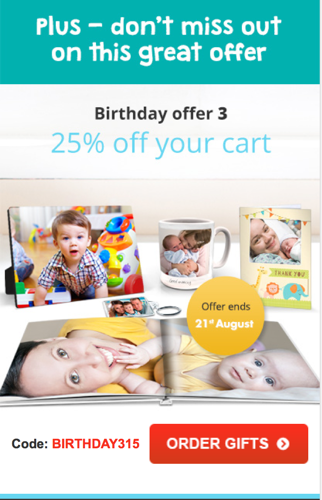 It starts off with a big, bold banner announcing that it’s their birthday and that that it’s your last chance to receive this offer to create a sense of urgency. That’s followed by a big text header announcing the offer itself. This is done in text, rather than an image, ensuring it renders with images off – important for allowing the reader to see the offer before they see the images so they don’t delete the email. This text is also using Google Fonts to render the font Open Sans, but has the appropriate fallback to cover clients not rendering it. Under that is a nice, large CTA button with the offer code next to it. 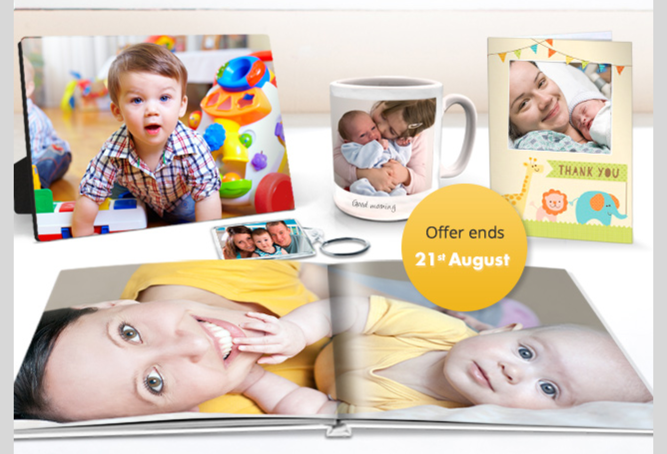 The final element of the hero, or main offer in this case, is a big image showing the product on offer, along with a sense of urgency reminder on top of that. This email scales perfectly at 100% width all the way down to mobile devices. Next up in the email is another offer section selling a second product. This section is kicked off by a nice looking splitter to separate the content. I really like this as it helps to draw the reader down the page. We then follow the same text pattern as above, a big header in text rather than image with web fonts that fall back. They also have a mix of font-weights here to add variety. This is followed by another eye-catching full width image. I can’t overstate how much these images help this email. They’re fantastic, high-quality shots of the products that really show them off. And, just like above, this all scale beautifully into mobile too. The next section of this email is a social sharing call-to-action. It’s a clean looking section using a solid grey background to pull it away from the rest of the email design and also acts as a divider. 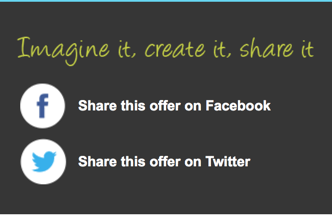 I like this as the whole section encourages users to share the offers on Twitter or Facebook. It also scales down and stacks beautifully on mobile. This social section is followed by another – a little confusing as first but it makes sense as the above section is a call to share the offer on social sites and this section features links to the Truprint social media pages themselves. The only thing I don’t like about this section is that the text “Follow us on X” is part of the image, rather than text. This seems a bit odd considering they’ve gone to such lengths to include text over images in the rest of the email. Like the rest of the email, this falls nicely onto mobile devices. Switching from the four column layout into two. Following the hierarchy of the email down we have a section encouraging users to download the Trueprint app. Although right at the end, I love this little section. It looks great and stands out just enough from the rest of the email to match the call-to-action it holds. On mobile they take the safe route of hiding the image and letting the text fall in. At the end of the email we see the footer. One thing I adore about this section is that they split off the terms and conditions of the offers in the email away from the unsubscribe and general email footer bits. This means that the unsubscribe isn’t lost in the terms and you’re avoiding any chance of people not being able to find it. This is only a tiny little detail, but it makes a world of difference and should go some way to preventing people from using the default webmail unsubscribe option. Now for the big test for all emails; how it renders across different email clients. The good news that it renders perfectly across all devices. It also looks great on tablets and mobile devices, even supporting older Outlooks such as 2002 and 2003, and the new Outlook beast; 2016. 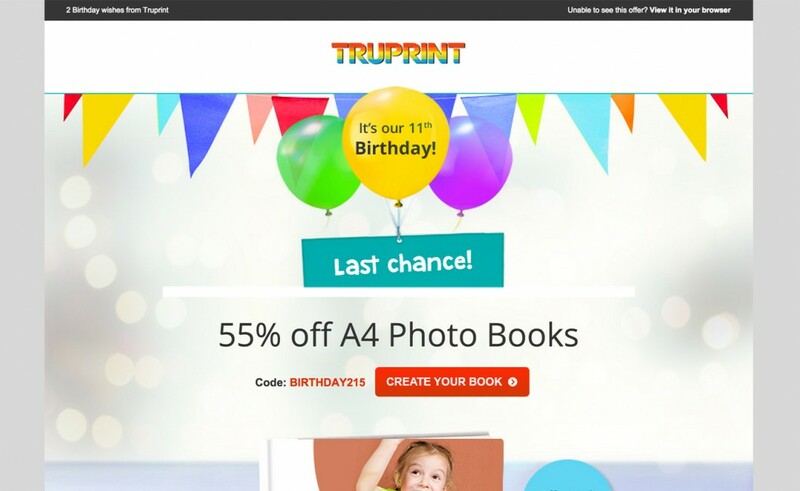 This is extra-noteworthy, as making such an image heavy email render across all devices is no small feat – so well done Truprint! Although this is a very image heavy email, I love what they’ve done with it. The use of good typography, strong imagery and clear calls to action add up to make up a very nice email. It’s almost bordering on looking like a web page with the fact that it spans so wide on larger screens but still looks nice on mobile. Great email which breaks the stereotypical email design pattern. If you have any thoughts on this email, let me know in the comments or on Twitter! 2. I like the use of web fonts too. That’s something I’ll have to start using more. 3. I am the only one that still try to get a balanced ratio of text/images in order to stay out of the Spam folder? I know the industry claims that visual email are what people are expecting, but spam filters may not have the same expectations… An email like this one would certainly loose some points because of the low text ratio. What are your thoughts on that? Do you guys have a special expertise on spam filters? 5. 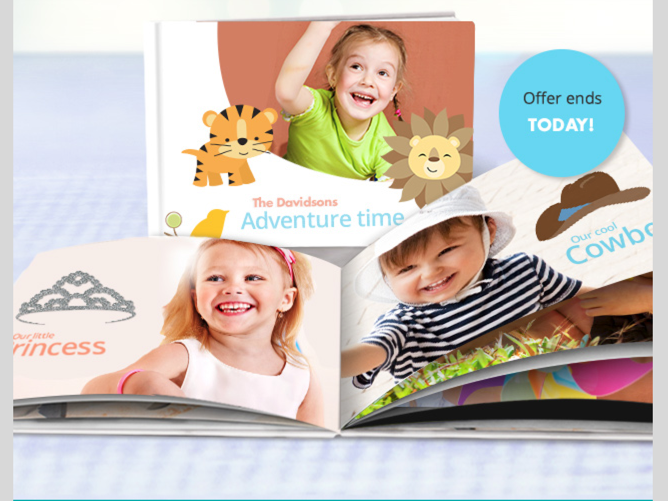 Being so visual, I find it very attractive for the targeted customers (you can’t sell photo books without great photos!!). 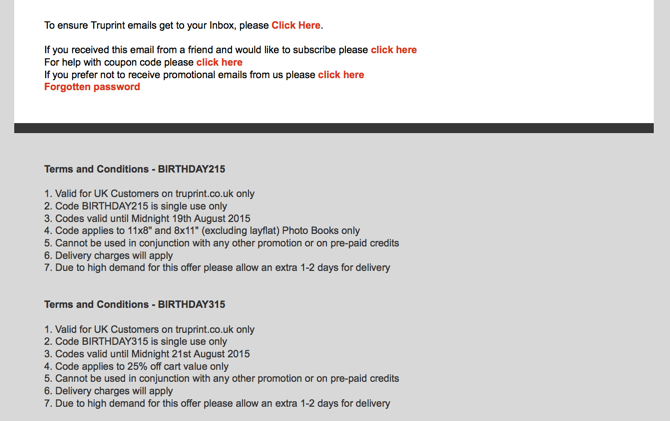 Congrats TruePrint, it’s a nice email!